Larry Silver has been taking photos since he was a teenager. Finally — at 83 years old — he’s gotten into Harvard. 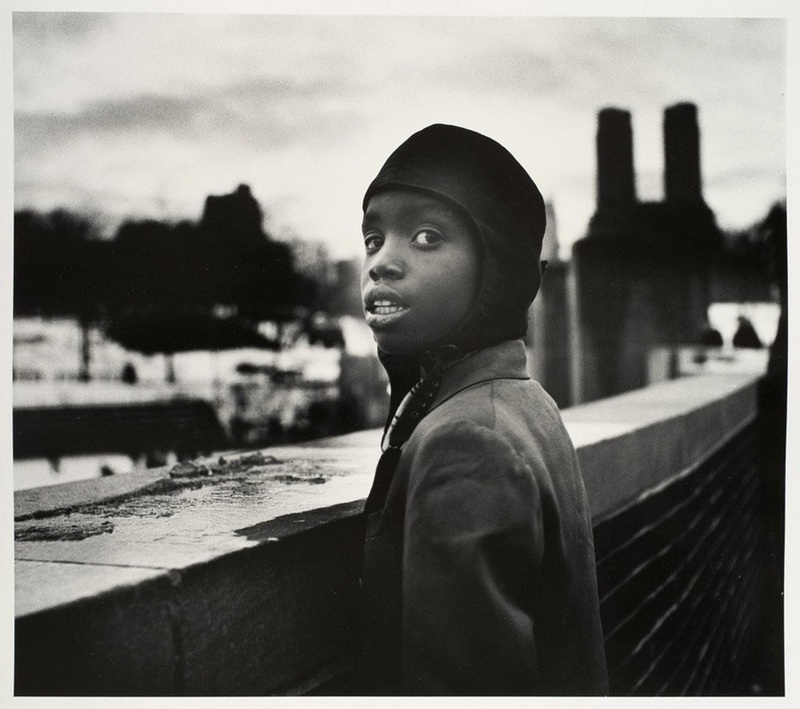 The prestigious university’s Fogg Museum of Art has acquired 20 of the world-renowned photographer’s images, for their permanent collection. Westport is prominently featured in Silver’s work. That’s no surprise: He’s lived here for 45 years. 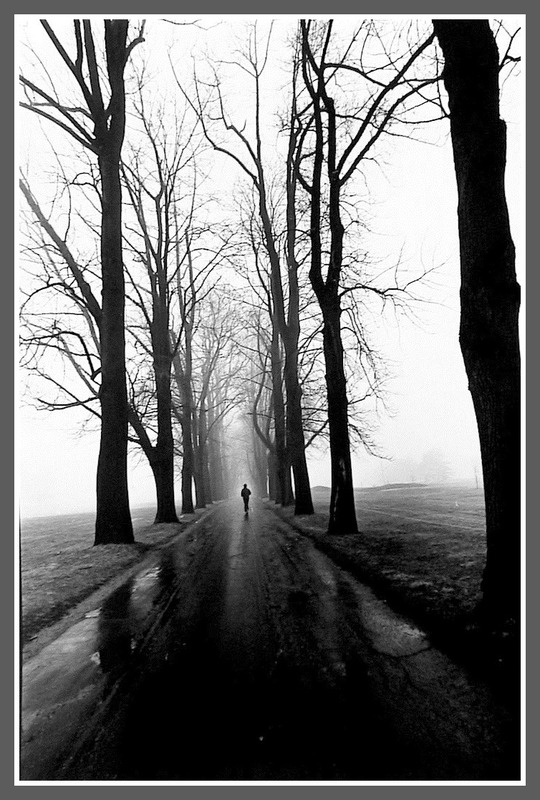 Among the photos headed to Harvard is “Jogger” (1979). 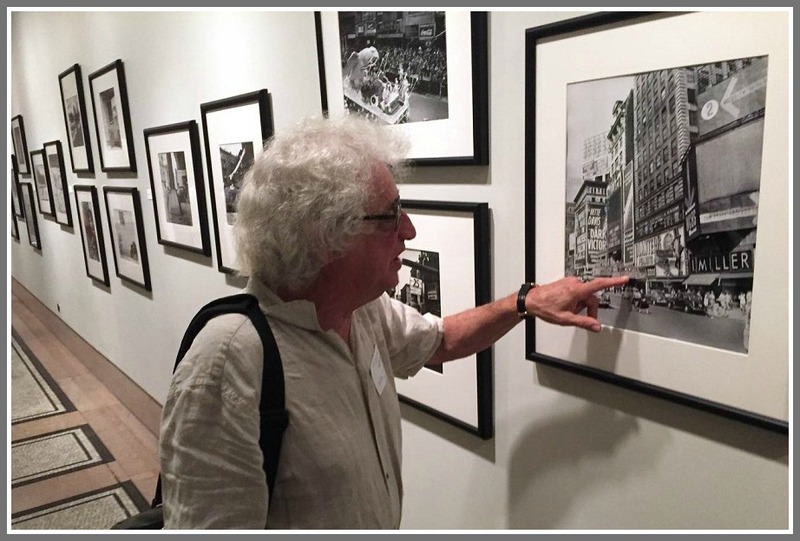 Larry Silver’s famous 1979 photo is headed to Harvard. Silver continues to photograph scenes all around Westport — except for his shower series. A complaint by someone concerned that he had his camera at Westport’s iconic outdoor public shower led town officials to tell Silver: no more photography there. Larry Silver is a renowned photographer. His images hang in museums around the world. Since 1973, he’s been a Westporter. He’s spent all those years documenting life in and around town. Now — 45 years after moving here — he’s compiled some of his favorite photos into a short video. 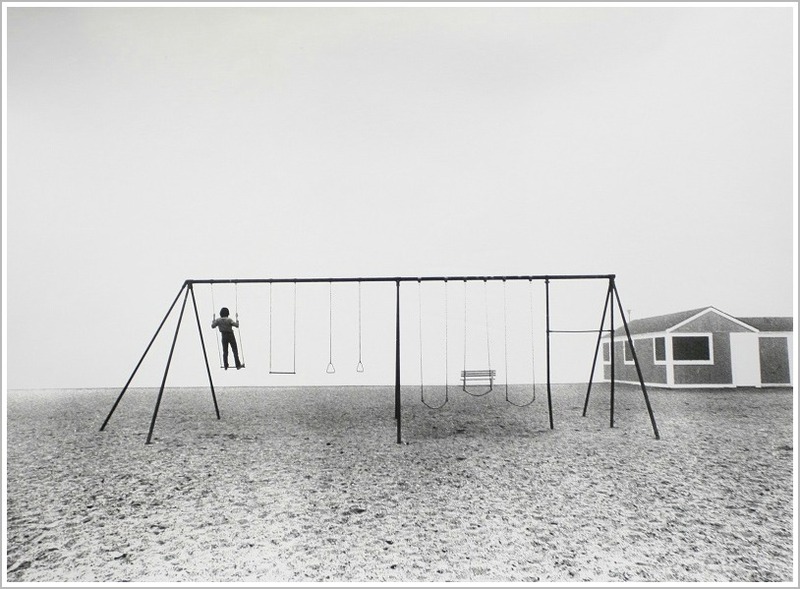 “Larry Silver’s Connecticut” includes many familiar scenes: Compo Beach, Sherwood Island, Longshore, roads and barns. 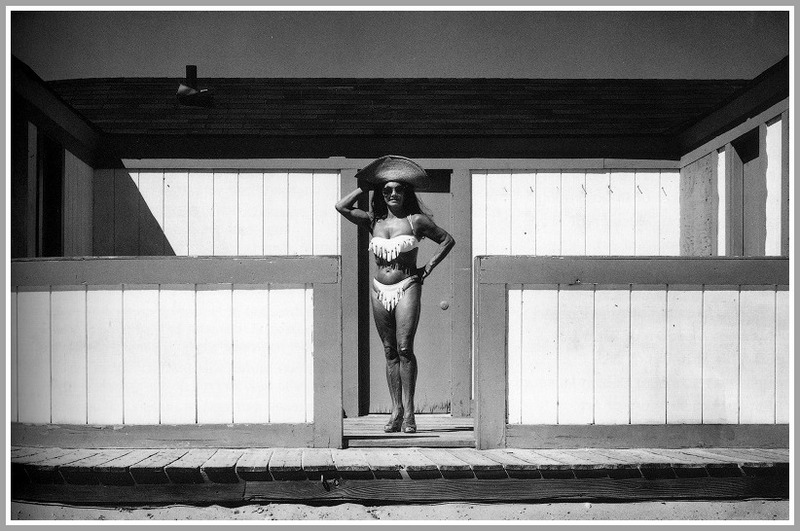 There’s his iconic “shower”shot — taken next to Joey’s — and one of the fondly named “Dragon Lady,” a beach fixture for many years. There are also photos of nearby towns, and many city scenes too. “The best years of my life have been spent in Westport,” Larry says. Now he’s shared them with all of us. Larry Silver is 82 years old. He’s been taking photos since he was a teenager. His work is warm, evocative and engaging. He is known around the world. Westport — Silver’s home since 1973 — is an important setting for his work. 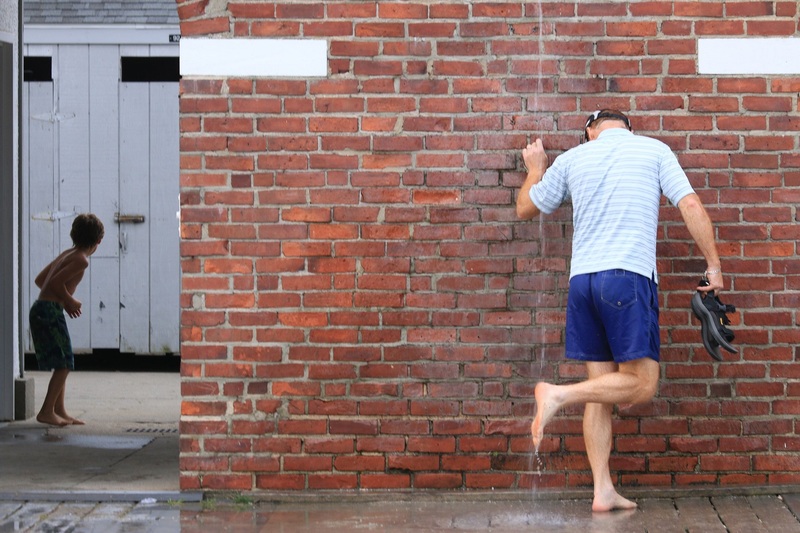 Compo Beach is a favorite — particularly the outdoor showers near the concession stand. The parade of people — different ages, shapes and sizes, all set against the brick background — is a photographer’s delight. 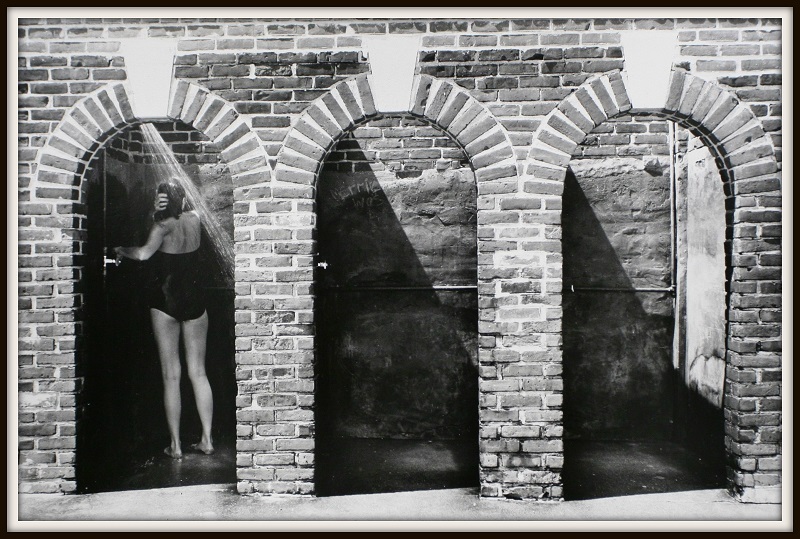 In fact, his 1980 “Beach Showers, Westport CT” has become iconic. It hangs in many museums. But what was fine in the 1970s, ’80s and ’90s is not okay today. The world has changed — and Silver’s photography is one of the casualties. But when he is shooting, he spends time focusing. He’s working on his art. Passersby see a man with a camera, taking photos of people in showers. Last year, someone — thinking Silver was doing something illegal — called the police. They asked for identification, and reviewed the images on his camera. They found nothing wrong, and returned his camera to him. Several people who knew Silver confirmed to the police that he is an esteemed professional photographer. The next day, Silver went to the Parks and Recreation Department. He showed facility manager Dan DeVito samples of his work, and apologized for creating a problem. Silver took some more images, until the end of summer. There is nothing illegal about taking photos in a public place, Silver notes. “If you’re at a place like the beach, you give up the right of privacy,” he says. This summer, there were additional complaints. One woman called Silver’s wife Gloria a “pervert” for allowing him to shoot near the showers. Silver tried to reason with the woman, showing her a published catalog of his works. She refused to even look at it. The police were again called. Again, Silver spoke to DeVito. Silver showed him his images, and said he would stop his project. DeVito asked Silver why he didn’t ask subjects for permission to shoot. “That changes the dynamics,” the photographer replied. The other day, Parks & Rec sent Silver a letter. It said that he “created a disturbance,” and caused “alarm and discomfort.” It served as a written warning for “unacceptable behavior.” If Silver continued to take photos, he risked the loss of beach privileges for 2 years. “I’ve been capturing this town with my eyes since I moved here,” Silver says. “I’ve documented the lifestyle of this community. Silver’s shower series is over. Next summer, he won’t take any photos anywhere near there. He’s got plenty of time to figure out his next subject. But he’s also busy preparing for an upcoming event. 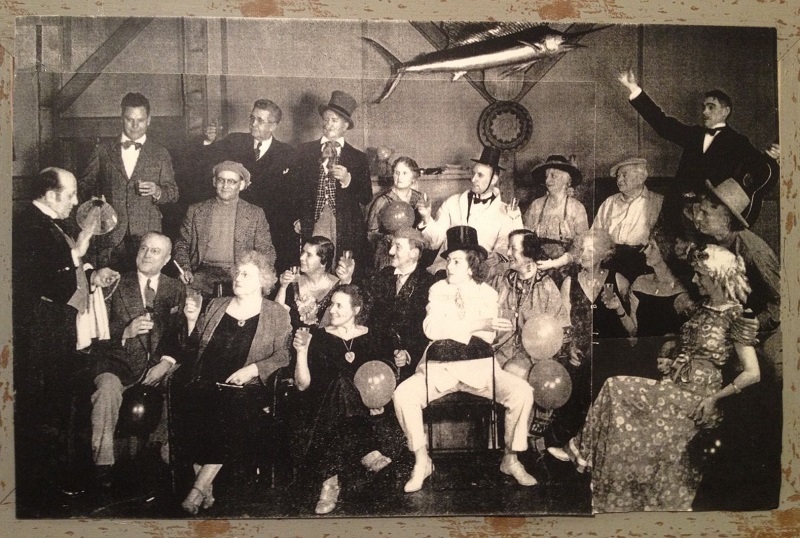 On Friday, October 13, the Westport Historical Society throws a big gala. There’s great food, a Prosecco bar, and music. There’s a special honoree too. His name: Larry Silver. Larry Silver is one of Westport’s best photographers. His images have been admired in galleries around the world. Those shows end. But now Larry’s photos will be part of a permanent collection. The museum of the prestigious Rhode Island School of Design has acquired 17 images. Though Larry has photographed people and scenes all over the world, Westport is one of his favorite subjects. 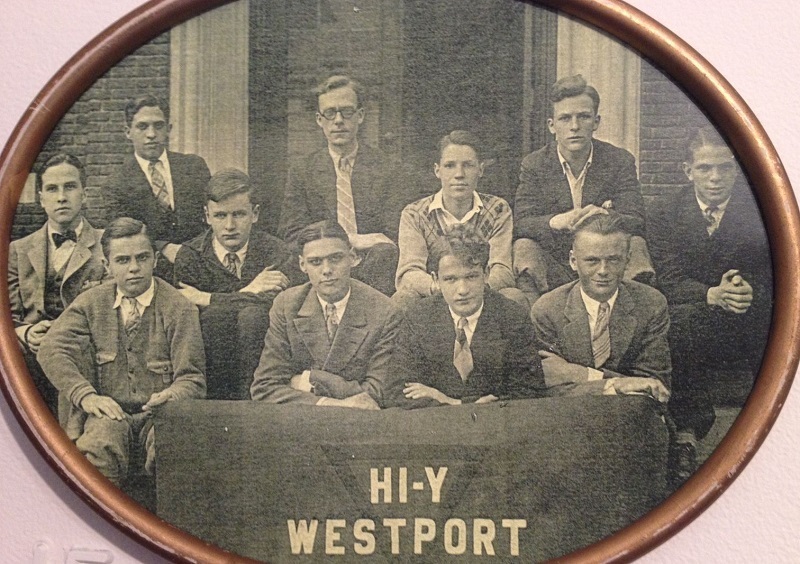 RISD has chosen a pair of Westport classics, as part of Larry’s 17 photos. And both are perfect right now — 3 days before the shortest day of the year. 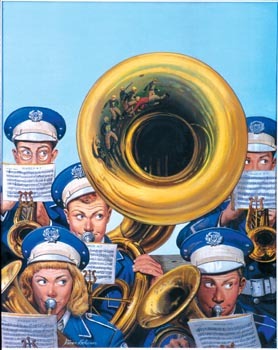 Larry Silver’s show at the New-York Historical Society got a shout-out yesterday from the Wall Street Journal. They show “everyday New Yorkers” at the then-new UN, the old Penn Station, a D’Agostino grocery store, in subway cars, and staring into store windows. “There’s something about the black-and-white images, a meditative quality, that captures the era,” the story says. The WSJ piece opens with an anecdote of Silver taking shots of people showering outdoors at Compo Beach. A man objected to his girlfriend being photographed, and called the police. Larry Silver is well known for his iconic Longshore shots. But the very talented Westport photographer has spent countless hours a couple of miles away at Sherwood Island too. That’s Westport’s out-of-sight, out-of-mind beach. 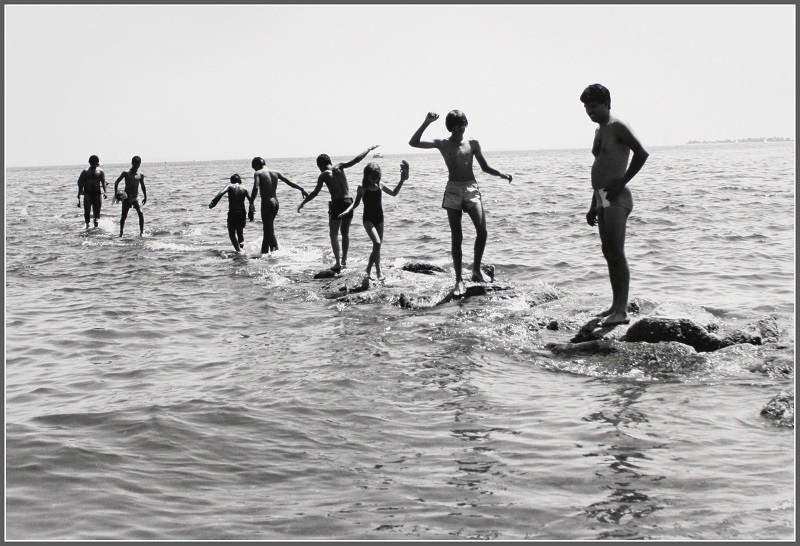 Tomorrow (Friday, March 27), the Westport Library introduces “Sherwood Island, 1975-2015”: more than 40 of Silver’s images, from the past 40 years. “Woman With Boombox” — Larry Silver, 1980. The photos show the changing styles of visitors to Connecticut’s 1st state park — and its timelessness. The shots — in black and white, and digital color; in every season, all over the park — are classics. One of the library photos — “Sunset at Sherwood Island State Park” — is included in the Smithsonian Museum of American Art’s permanent collection. 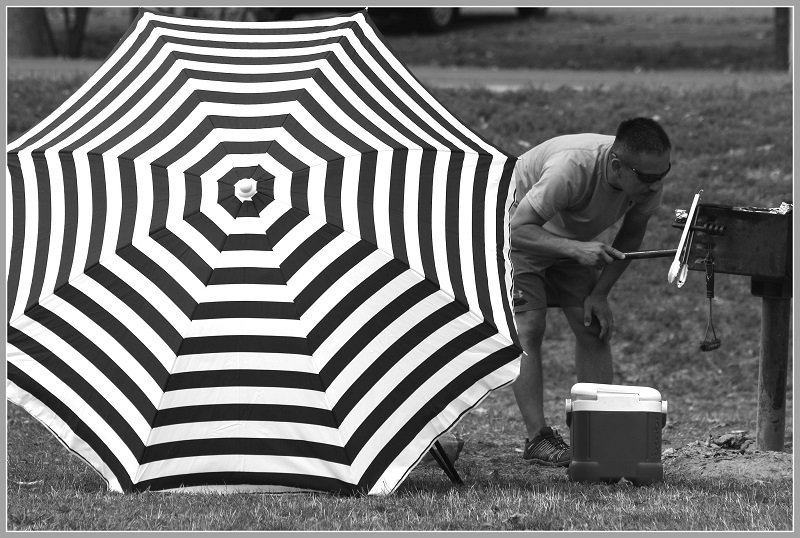 “Man Barbecuing Next to Black and White Umbrella” — Larry Silver, 2014. Every Westporter knows where the library is. Not everyone knows Sherwood Island — the overlooked gem right on our coast. After Larry Silver’s exhibit, no one can forget it. 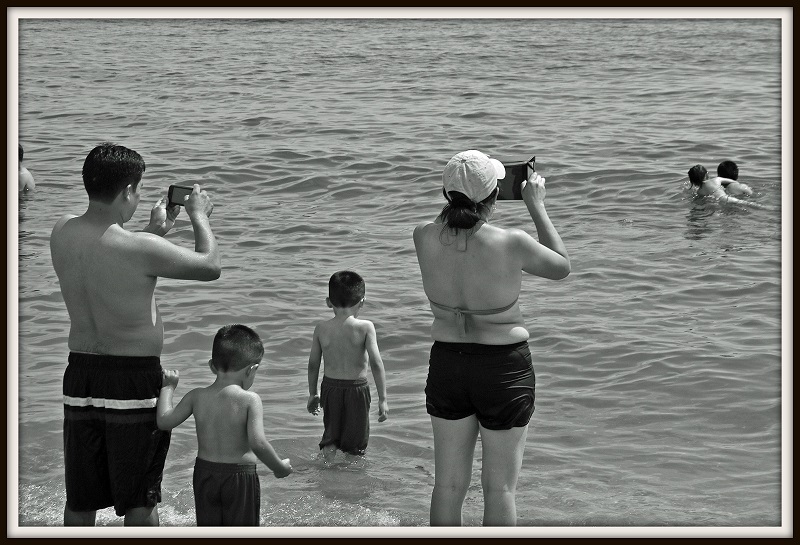 “Couple Photographing Children in Water” — Larry Silver, 2014. Here She Is: The Dragon Lady! 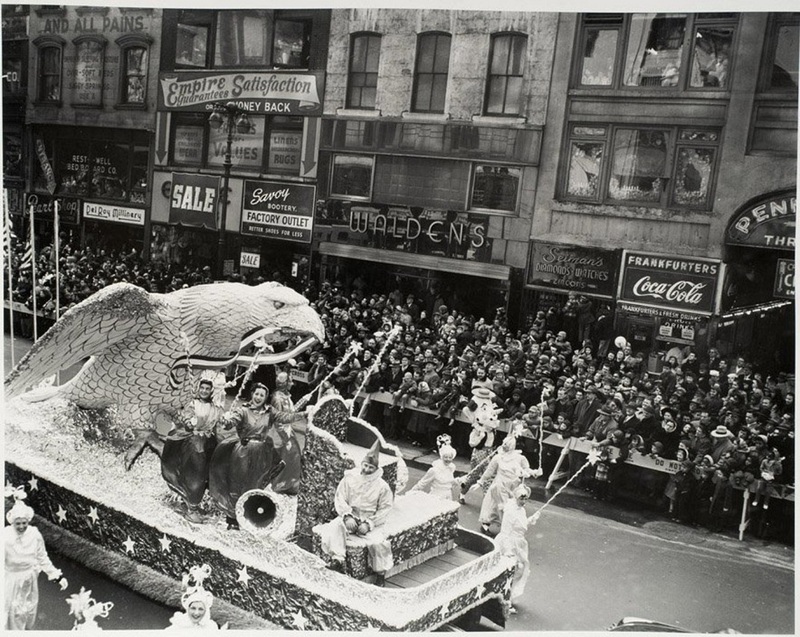 This morning’s post about the new exhibits at the Westport Historical Society included a passing reference to The Dragon Lady. Several readers commented — quickly and excitedly. They saw her often at Compo Beach, and remembered her floppy hat, black bouffant do, animal print outfits and high heels. Of course, they wanted to see the photo I mentioned. 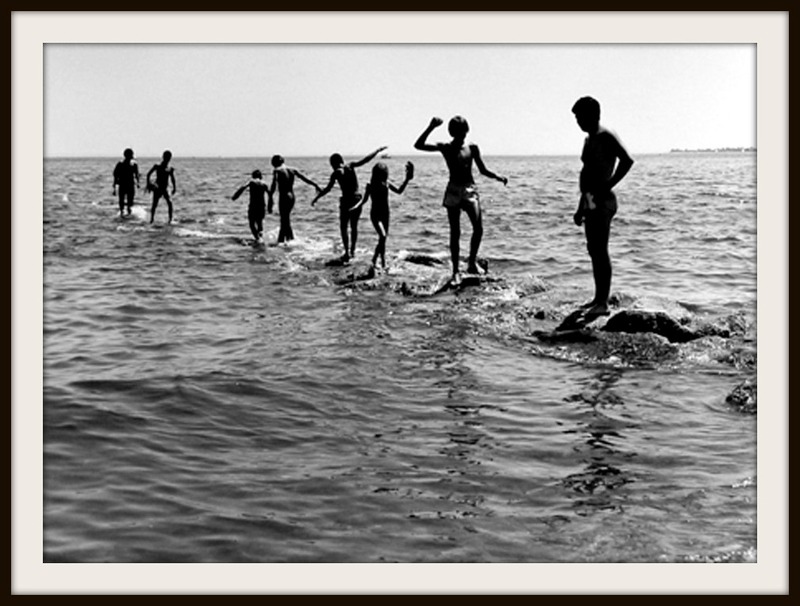 … while “Dancing on the Jetties” shows that while fashions have changed since 1979, kids at the beach have not. 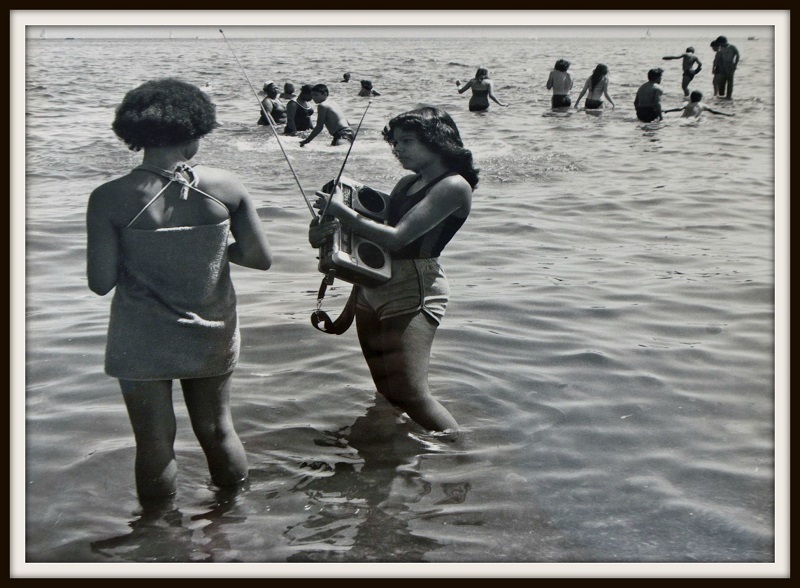 Larry Silver’s Westport Historical Society exhibit includes much more than just Compo Beach. It’s open Monday through Friday, 10 a.m. to 6 p.m., Saturday from 12 to 6 p.m.
Last night, the Westport Historical Society celebrated 2 new exhibits. “Larry Silver/Westport Visions” is a fascinating look at our town, through 40 years of remarkable photos. Larry has focused a keen eye on Longshore, downtown, the railroad station — you name it, he’s captured it in a special way. His most remarked-on shot last night may have been the “Dragon Lady”: the striking woman who for years strode up and down Compo in heels. If you didn’t know her, don’t call yourself a Westporter. Equally intriguing is the 2nd exhibit, in the smaller Mollie Donovan Gallery. “Faces in the Crowd” consists of a few dozen group shots from long (and longer) ago. 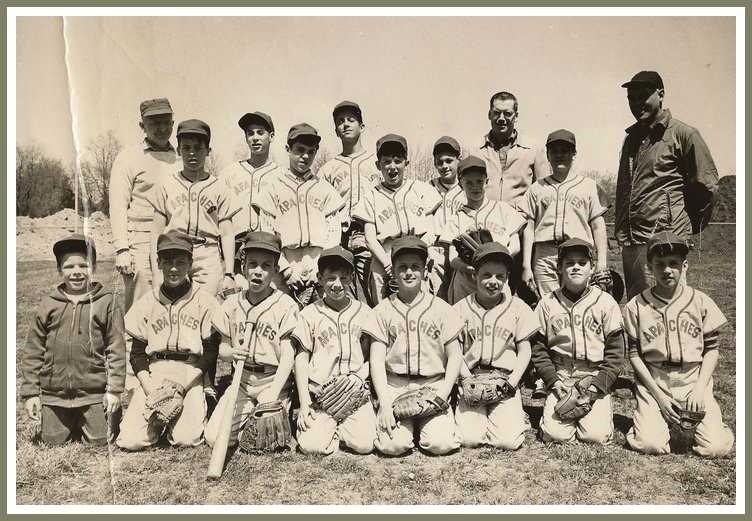 Class shots, Little League teams, parties — if there was a gathering in Westport, it might be on the wall. But what’s really fun is the interactivity. Each photo has a number; each number has a small notebook. If you recognize someone in any of the photos — Ed Hall, say, or Harold von Schmidt or Dan Woog — you can write where that person is in the photo, and add something about the scene. Yeah, me. I’m in the WHS exhibit, in the photo below. Go, Apaches! 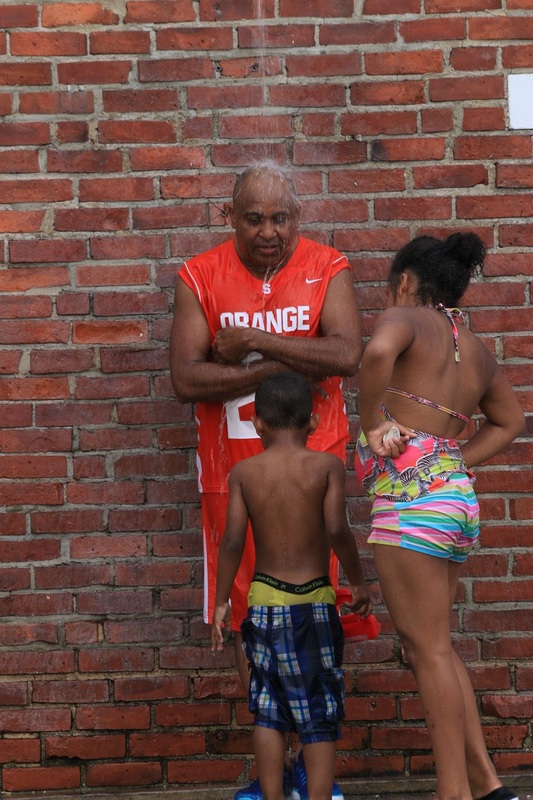 After the cannons, the brick showers might be the 2nd most iconic Compo Beach scene. Generations of people of all ages have rinsed off there. Generations of little kids have played in the mud. 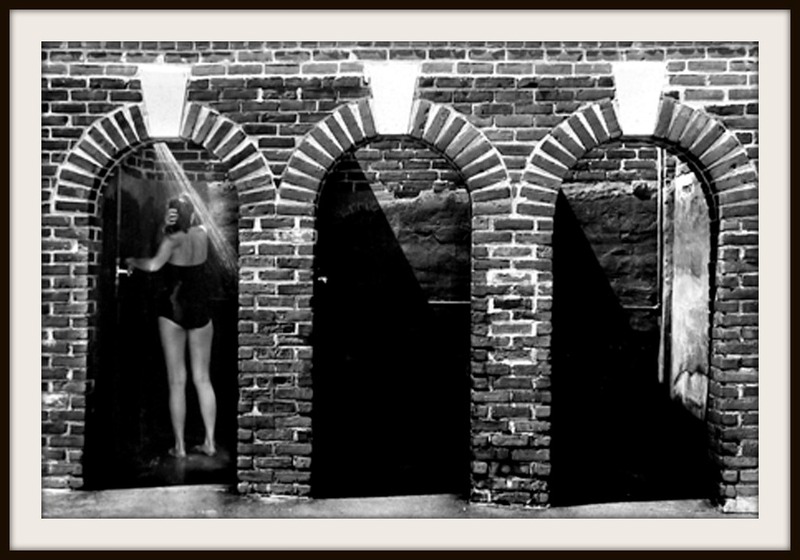 Generations of photographers have taken photos of generations of shower-users. It’s one of over 50 prints included in “Larry Silver/Westport Visions,” a Westport Historical Society retrospective of his 40-year career that opens next month. There will be plenty of publicity about this great show. But today let’s just honor this great, often-overlooked, seldom-remarked-on piece of the beach we love so much. And if you’re new to town: What are you waiting for? Head on down, and enjoy this true Westport gem.